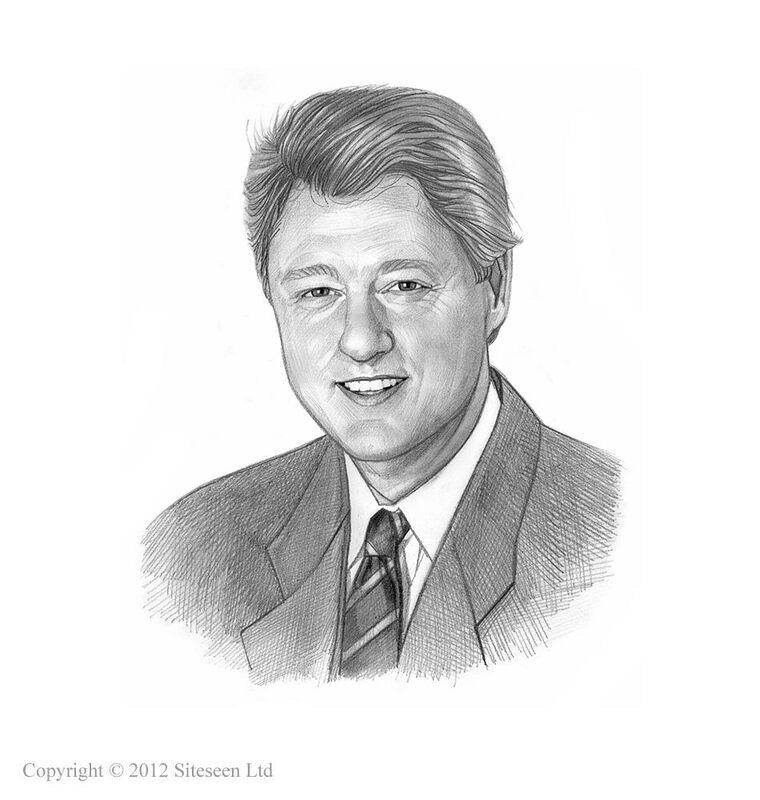 NAFTA: Bill Clinton was the 42nd American President who served in office from January 20, 1993 to January 20, 2001. One of the important events during his presidency was the NAFTA. Summary and definition: On December 8, 1993, President Bill Clinton created the world's largest free trade zone by signing the North American Free Trade Agreement (NAFTA). The NAFTA agreement took effect on and took effect on January 1, 1994 eliminating nearly every barrier to trade and investment on products and services passing between the United States, Canada, and Mexico. The purpose of the NAFTA agreement was designed to increase trade among United States, Canada, and Mexico by reducing or eliminating restrictions on commerce, such as tariffs and import quotas. The NAFTA agreement also eased restrictions on immigration and travel. The NAFTA agreement addressed labeling and documentation of products requiring labels to be printed in the languages of the NAFTA countries. The elimination of of trade barriers and the opening of markets has led to economic growth and rising prosperity in all three countries. Who are the members of NAFTA? The members of NAFTA are the United States, Canada, and Mexico. Who was the original sponsor of NAFTA? The original sponsor of NAFTA was President George H.W. Bush but it was Bill Clinton who secured Congressional approval for the agreement. The following fact sheet contains interesting facts and information on NAFTA. The history of NAFTA dates back to the presidency of Ronald Reagan who campaigned on a North American common market to compete with the European Union. It took three U.S. Presidents, Ronald Reagan, George H.W. Bush and Bill Clinton more than a decade to get the North American Free Trade Agreement off the ground. History: In 1984, Congress passed the Trade and Tariff Act enabling a fast-track procedure to possible free-trade agreements and gave Congress increased the influence of Congress in negotiating trade agreements. History: When the Canada-US Free Trade Agreement was passed in 1988, Mexico indicated that it was ready to join trade negotiations and the initial NAFTA talks were started as President George H.W. Bush and Mexican President Carlos Salinas de Gortari began negotiations for a free trade agreement between the two countries. History: In 1991, Canada requested a trilateral agreement, which ultimately led to the establishment of NAFTA. The pact was to cover an area of over 8 million square miles and a combined population of nearly 500 million people. History: The NAFTA agreement was signed by President George H.W. Bush, Mexican President Carlos Salinas de Gortari, and Canadian Prime Minister Brian Mulroney in 1992. The signed agreement then needed to be ratified by each nation's legislative or parliamentary branch. History: President Bush believed that opening economic borders between the nations would bring benefits to all those concerned and that as production rose to meet the new demand for increased exports in the United States that jobs, wages, and the economy would improve. History: The trilateral trade agreement ended tariffs between the United States, Mexico and Canada and set a 15-year timetable for the elimination of most other impediments to international investment and commerce between the three nations. (A Tariff is a tax placed on goods imported from foreign countries). History: The task of securing Congressional approval for NAFTA fell to the newly elected President Bill Clinton. The passage of NAFTA proved to be extremely difficult. History: There was considerable opposition due to the concerns, raised by key House Democrats and prominent Labor leaders, that large corporations would transfer to Mexico in order to profit from much lower Mexican labor costs. Other concerns were raised regarding the lack of Mexican regulations in respect of the environment. "You're going to hear a giant sucking sound of jobs being pulled out of this country." History: President Bill Clinton added two side agreements to protect workers and the environment before sending NAFTA to the Senate - The North American Agreement on Labor Cooperation (NAALC) and the North American Agreement on Environmental Cooperation (NAAEC). History: NAFTA would never have been passed without the addition of the NAALC and the NAAEC. History: The U.S. House of Representatives approved NAFTA by 234 to 200 on November 17, 1993. The U.S. Senate approved it three days later by 60 to 38 on November 20, 1993. "NAFTA means jobs. American jobs, and good-paying American jobs. If I didn't believe that, I wouldn't support this agreement." The goal of NAFTA was to eliminate barriers to trade and investment between the United States, Mexico and Canada. Although the North American Free Trade Agreement (NAFTA) has significantly improved economies for the United States, Mexico and Canada, it still continues to raise environmental and employment issues. People have different perspectives on the effect and impact of NAFTA, depending on their individual circumstances and where they live. This had led to extremely diverse and controversial views on whether NAFTA was successful or not, the pro's and con's of the pact and disagreement regarding the advantages and disadvantages of NAFTA. Investment Opportunities: NAFTA provisions have allowed greater certainty and stability for investment decisions enhancing attractiveness for foreign investors whilst providing more opportunities for member countries to invest in NAFTA partners’ economies. Conditions of fair competition: NAFTA allowed U.S. and Canada to buy tariff-free, goods from lesser-developed Mexico who could manufacture them at cheaper prices. Businesses were allowed to build and maintain offices in Mexico. NAFTA also established trading standards in relation to health, safety and industrial standards, removing existing national standards as a barrier to free trade. Resolution of trade disputes: NAFTA included impartial processes and dispute mechanisms to safeguard the fairness and stability required for the agreement to function. Intellectual property rights: NAFTA ensured protection against stealing intellectual property rights from other businesses, especially relating to computer software and chemical production. Unemployment: The cheaper labor costs in Mexico led to US manufacturing companies to move their production plants to Mexico causing an increase in US unemployment, especially in Michigan, California, Texas and New York. The industries hardest hit were those that produced automobiles, textiles, computers, and electrical appliances. However, other areas saw an increase in exports that led to a drop in unemployment. Unemployment: The US industries hardest hit were those that produced automobiles, textiles, computers, and electrical appliances. However, other areas saw an increase in exports that led to a drop in unemployment. Wages: The threat of moving businesses to Mexico reduced the bargaining power of labor when negotiating wage increases. Exploitation: US export businesses increased the maquiladora factories to take advantage of Mexican cheap labor without the cost of health benefits or labor rights. Environment: Mexican farmers were not able to compete with the newly subsidized American farmers and, in order to become more competitive with the US, began to stimulate the growth of crops by introducing more fertilizers and other chemicals leading to environmental damage. NAFTA brought both advantages and disadvantages with its implementation and the controversy surrounding the pact continues to the present day.